in your mouth, nose, and brain. Where I describe what happens when the taste and smell nerves send messages to the brain. 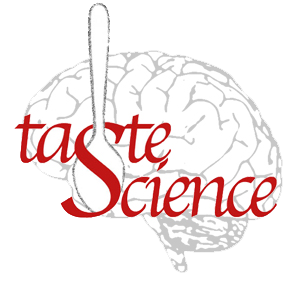 Where I explain the sources of individual differences in taste sensitivity. Where I speculate about the reasons for population differences in sensitivity. Where I talk about our research with my friend Tim Hanni MW (Master of Wine). Where I explore the sensations you experience when you sip a cuppa. Where I lay out some curious results from our research into taste and smell. Where I reveal my story (or at least the Taste Science parts of it). Tea, and coffee too! Will be at the the 3rd Annual Coffee & Tea Festival 2015 in Philadelphia, November 7 and 8. “Which Food, Which Coffee, Which Tea? Using Science to Take the Guesswork Out of Pairing Food with Your Favorite Beverages"
Should be a lot of fun experiencing flavors come and go like magic! And I will be bringing my exclusive tea/spice/herb pairing charts for sale at my booth. On May 6th, 2015 I was at the World Tea Expo in Long Beach California, to give a Skill-Building Workshop, "The Organoleptic Experience of Tea: Why and How," with Donna Fellman of the World Tea Academy. We talked about the molecules in tea and how they got there, then let the participants discover what these molecules do when they reach your palate and send flavor messages to you brain. A very exciting and enlightening time was had by all! I've outlined the different experiments and their results in my Pairteas Facebook page. "It's fun to get together and have something good to eat at least once a day. That's what human life is all about - enjoying things." © 2015, Taste Science LLC. All rights reserved. Design: VU Designs, modified from HTML5 UP.